Robust buying – especially in realty, insurance and banking – led the 20-stock Qatar Index gain for the fourth straight session by a huge 1.54% or 151 points to 9,976.51 points. 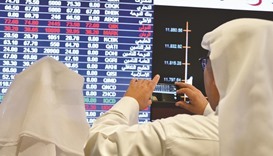 Foreign institutions’ sustained buying interests on Tuesday lifted the Qatar Stock Exchange for the third straight session and its key index settled above 9,800 levels. The Qatar Stock Exchange was back in the negative trajectory to retreat below 9,000 points mainly on increased profit booking by foreign institutions. 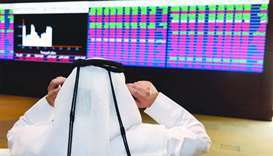 Four days of continuous gains on Thursday gave way to profit-booking on the Qatar Stock Exchange, which settled 85 points lower at sub-9,300 levels. Investors’ penchant for blue chips on Tuesday placed the Qatar Stock Exchange (QSE) above 9,300 levels and capitalisation expanded about QR9bn. 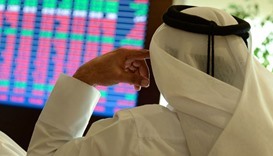 The Qatar Stock Exchange on Monday shot up more than 132 points to cross the 9,100 levels. 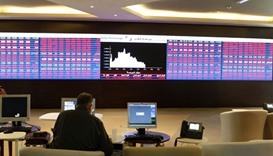 The Qatar Stock Exchange on Sunday snapped four consecutive days of bullish run to witness its key index settle at sub-9,000 levels and capitalisation retreat below QR500bn. 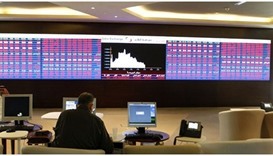 Rising geopolitical tensions and the US pullout from Iran nuclear deal had their reflections in the Qatar Stock Exchange, which saw more than QR6bn loss in capitalisation this week. 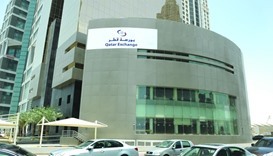 Severe selling, especially in the mid and microcap segments, led Qatar Stock Exchange plunge 282 points in its key index and QR18bn in capitalisation this week which saw the US Fed maintain status quo on its interest rates. An across-the-board selling — notably in realty, telecom and insurance — on Thursday led the Qatar Stock Exchange plummet 148 points for the fourth straight session and capitalisation erode more than QR9bn.